You know what’s coming next week, right? It’s that fake holiday, Valentine’s Day. 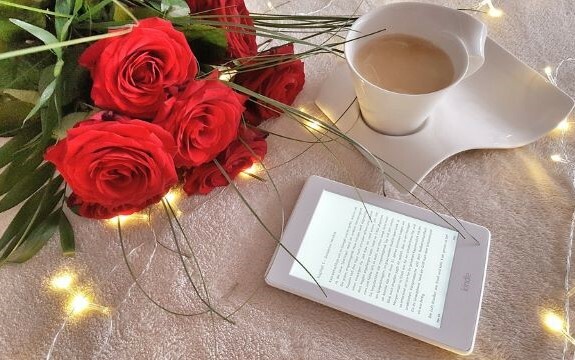 What could be better for your valentine than the gift of a good book? Chocolate, while it may be delicious, will make us all fat. So… We’ve got plenty of free and 99 cent eBooks here on Thrifty Thursday, so fill up your eReader or gift them! A woman wakes up in the hospital with bruises, amnesia and a husband who hates her. Bounty hunter Caleb Wolf chases an outlaw from Texas to Tombstone, Arizona. Half-breed, Jacob Blade, after turning a fugitive over to the sheriff in Eldorado, Colorado, gets mixed up in the troubles of the town. Bass goes after a fiery red-head who wants to become the queen of the outlaws in Indian Territory. Sixty African-American personalities who contributed to American history, but often get left out of the history books. Kindle some FREE LOVE THIS WEEKEND, February 9th and 10th Why not give the Gift of Love with a new book of 33 endearing romantic poems today? John D. Ottini leads us on an excursion through eight suspenseful tales, each filled with joy, heartache, mystery, intrigue and a pinch of humor. Ethan has a problem. He likes to read about science, music, artists and animals. To his dismay, his parents like humorous books about farts. 3. The Battle of the Somme and the 1916 presidential election as it was reported on in the newspapers. An iPhone doesn’t come with a user’s manual, but there are all sorts of shortcuts and productivity hacks inherent to the device. Aria Knight has an unusual set of skills: she will hold back the hounds of Hell so that you can fly toward the Pearly Gates. For the twenty years of her acting career, Carlotta Monterey was counted among the most beautiful women in America. Remy embarks on a ridiculous road trip to find the answer to man’s greatest question. Unfortunately, the Toronto PD mistakes him for a serial killer. Previous Previous post: Which “Walkway” Flash Fiction Story Gets Your Vote?